Have you been injured in a car accident, motorcycle accident or truck accident? Although all of these accidents are motor vehicle accidents, each one of them have important differences in Missouri law. If you have been injured on the workplace you have probably discussed the injury with your supervisor or employer and you may have been contacted by their workers comp insurance carrier. Do I have a Missouri Personal Injury Case? If you or a member of your family has been injured and you believe that this injury was the result of the negligence or carelessness of someone else you may have a Missouri personal injury case. Were you injured at the workplace? If so, you may be entitled compensation through Missouri Workers Compensation Laws. When a person is injured in an accident someone is often legally responsible. Personal injury is a branch of law that is designed to protect persons harmed by the careless or intentional actions of others. If a family member or loved one has been killed due to a dangerous, negligent or intentional act, you have the right to file a wrongful death suit. Medical malpractice is defined as negligence by a medical professional that occurs when the care provided deviates from acceptable standards within the medical community and leads to serious injuries or death. I graduated from the University of Missouri-Columbia School of Law in 1993 in the top percent of my class. I worked for the Missouri Supreme Court during and following my graduation. Subsequent to that, I was employed as staff Counsel/Attorney for the Missouri Division of Workers’ Compensation in the Jefferson City office. I then was appointed by the late Governor Mel Carnahan, as Legal Advisor / Associate Law Judge for the Missouri Division of Workers’ Compensation Courts, where I served on the bench for several years. Following my tenure as Legal Advisor / Associate Law Judge I was employed by a large local law firm as their lead counsel on all of their Missouri Workers’ Compensation cases. Within a short period of time I decided to open my own law firm. At this time, I feel as though I am one of the best in the workers compensation field, given all of my past experience and knowledge. 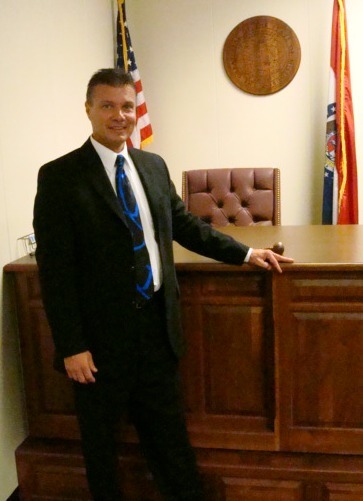 Daniel J Walkenhorst is a truly compassionate and experienced Missouri attorney who understands the feelings of his clients. He listens to their concerns and directs them to a fair and satisfying settlement. His goal is to satisfy all the people all the time.